Welcome to the Internet2 Community Update. The January 2017 issue will bring you up to speed on next-generation Internet2 Network planning and participation opportunities, plus the latest Trust and Identity developments, important news briefs from Internet2 and the community, and of course, a generous helping of events and social media items. 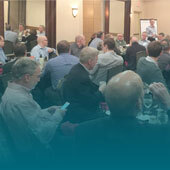 The second annual meeting of the Connector and Network Member Principals was held in early January in Tempe, AZ. The meeting focused on gathering input from the principals on important factors for the planning of the next generation of the Internet2 Network infrastructure and services as well as the myriad of issues surrounding regional and Internet2 support for the entire ecosystem. The goal of the meeting was to report to the Internet2 Board of Trustees the critical issues to be addressed by Internet2 going forward from the perspective of these principals. Please take a moment to review these recent don't-miss items from the Internet2 presses. Nominations sought for the 2017 Brit Kirwan Mentor Award. Your participation in this process helps to ensure that as a community we recognize exemplary leaders and “encouragers.” Submission deadline is March 1, 2017. Internet2 presents the 2017 Presidential Primary Sources Project (PPSP, Jan 25–Mar 29). PPSP is a collaborative distance-learning program sponsored by historic sites and museums, the National Parks Service, U.S. Presidential Libraries and Museums, and the Internet2 community. 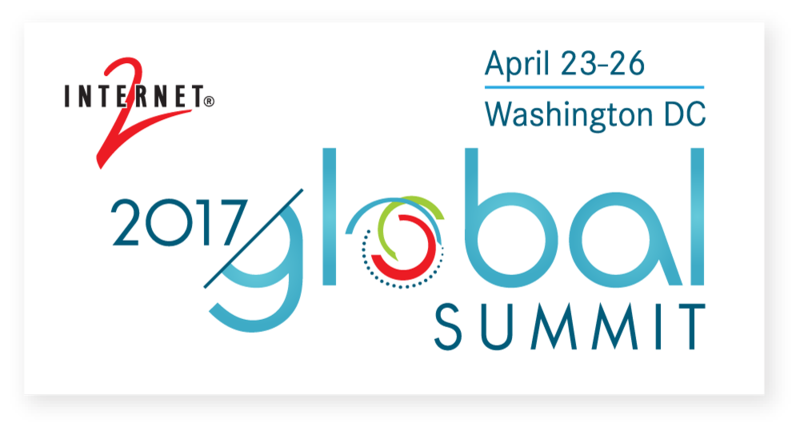 Its goal is to engage classrooms throughout the national and international education community through the use of primary source documents. The theme for this year is “Culture, Society, and Presidential Decision-Making.” Find out more about PPSP here. Also, the PPSP was announced as a new Content Provider on the CILC website last week. Internet2 has submitted a white paper to the new Presidential Administration outlining recommendations on broadband policies and discussing the need for broadband to be a part of national and global infrastructure programs, public-private partnerships, and trust and identity access management efforts. Financial Update – For the first time, the Internet2 accounting team is closing the annual books under the new NetSuite financial management system and managing all closing and independent auditor interactions directly. (In the past, the outside accounting firm handled some auditor requests because of the variety of systems used and the fact that Internet2 did not own or control all of those systems.) The new closing process will incorporate a new “soft closing” procedure, allowing cost center managers an opportunity to review cost center activity prior to final closing. In the past, this process wasn’t available and any errors or corrections had to flow into the next fiscal year. The new process will allow for more accurate and timely financial statements for the benefit of the management team. The answers to why women hold only 28% of STEM-related jobs and only 11% of information security careers are as complex as the problem. Helen Patton, CISO, The Ohio State University, and her co-panelists at a recent Technology Exchange session share some important insights and guidelines in this post. The TIER project has released a new TIER Production Candidate. This release includes a virtual machine environment for configuring, managing, building and running Docker container versions of Shibboleth, Grouper, and COmanage. Community testing and feedback on this release is essential to making continuous improvements and meeting the community requirements. For all the latest on TIER, see the TIER January 2017 Newsletter. The InCommon Steering Committee has approved a set of Baseline Expectations for Trust in Federation, including expectations for identity providers, service providers, and the federation operator. The next step is development of an implementation plan. InCommon and MCNC (North Carolina’s research and education network) have launched a proof of concept of the InCommon Steward Program, a scalable way to bring interested K-12 schools and community colleges into the InCommon Federation. In early January, 32 community members gathered with Internet2 staff in Tempe, AZ for the R&E Community Investment in National-footprint Network Services (RECINNS) Workshop to begin a community discussion around the development of requirements for community investment in future national-footprint infrastructure and services. Internet2 staff plan to build on this discussion with the community in the coming months. The attendees had submitted papers containing their thoughts about future requirements in response to a call for papers issued at the Internet2 Technology Exchange in September. The objectives of the workshop were to begin to engage the community in developing requirements for future infrastructure investments, and to articulate next steps for further discussion. The agenda included ten lightning talks from workshop participants whose paper submissions focused on one of the three areas: ecosystem integration, services and architecture. Talks were also provided by industry partners, Ciena, Juniper, Cisco, about the current technology landscape as well as impressions about the R&E community. Next the attendees chose one of two breakout sessions, either "supporting the academic enterprise" or "supporting data-intensive science and network research" for focused discussion. At the end of those discussions, there were report-outs from the two groups. 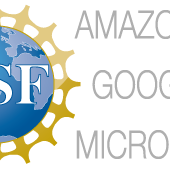 As a result of the discussions, two working groups, one for “supporting the academic enterprise" and one for "supporting data-intensive science and network research" were formed to address the issues in more detail. Each of the two working groups will begin to meet in February. To join the conversation, contact: NextInfrastructureInvestment@internet2.edu. Finding ways to deal with “Big Data” has become a science in itself. With an eye to the future, Clemson University researchers are playing a leading role in developing state-of-the-art methods to transfer these enormous data sets from place to place using the 100 gigabit Ethernet Internet2 Network. Don’t miss this feature on how the University of Wisconsin-Madison is using their IoT Lab as a "tech sandbox" to bring together students—including those with nonengineering majors—to explore, innovate and engage in problem solving and entrepreneurship with Internet of Things technology, filling the gap between the skills that industry needs and the skills that entry-level graduates typically bring to the table. 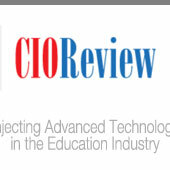 The most popular EDUCAUSE Review articles of 2016 cover a range of topics worth reading, including “The Internet of Things Is Here,” by Internet2's own Chief Innovation Officer, Florence Hudson. In this CIO Review article by Sharon P. Pitt, AVP and CIO, Binghamton University, read how understanding who we are, what we are trying to solve, and what we value is the biggest step toward fostering innovation and growth, and driving the investment that will support both. To manage your Internet2 email preferences, please visit the Email Preferences Center. 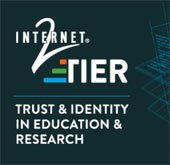 Don’t miss the TIER Newsletter, NET+ Cloud News, and other alerts. Ian Glazer, Senior Director for Identity, Salesforce, will give the keynote address on Tuesday. Register now—early bird rates end Jan 27. Register now to join Internet2 and Google on February 16 at 1:00 pm EST to learn more about the future of cloud and Google Cloud Platform. Bring your questions about Google Cloud Platform and be ready to share what you would like to see in an offering jointly developed by Google Cloud Platform and the Internet2 community. 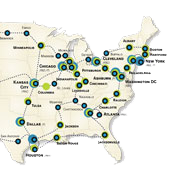 This post by Andrew Gallo of George Washington University and Karl Newell of Internet2 announces the start of a pilot program to improve the security and resiliency of the global internet routing infrastructure. Internet2 members are encouraged to support and participate in a pilot deployment of RPKI to gather information which can be used to develop deployment and operational best practices. The Internet Security Working Group has published its first discussion topic in a series related to routing security. Our goal is to socialize and publicize the topics presented in RFC 7454 “BGP Operations & Security” for the benefit of the greater R&E community. The site, with a link to the first discussion topic “Filtering eBGP to the Router,” can be found here.